Stage Lift systems allow for gentle quiet movement and stable support of stages, orchestras, equipment and seating platforms. Combining strength and adaptability, the lifting systems are efficient and reliable. GALA has provided performance stage lifts for some of the most dramatic shows produced. 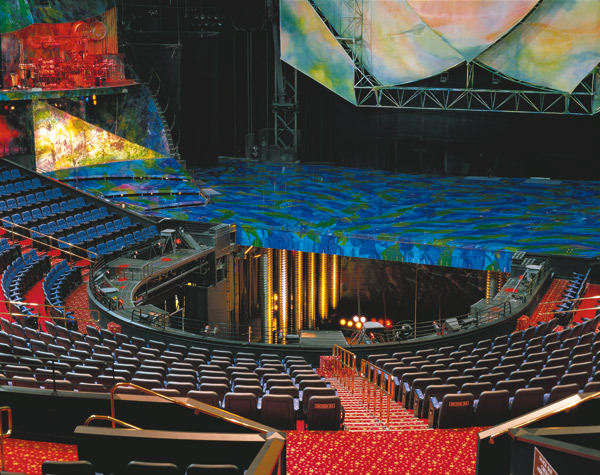 The stage lifts used in Cirque du Soleil, KÀ at MGM Grand, Las Vegas for example run at up to 0.3 m/sec. (60 ft./min.) with a quiet and smooth operation.